Dr. Marcino is a Psychiatrist who treats children, adolescents, and adults. Her area of special interest is Psychopharmacology (medication management), but she also enjoys cognitive and supportive therapy modalities and feels that psychotherapy is often an essential element of comprehensive psychiatric care. She believes in working closely with involved therapists, the family, and other members of one’s support network, such as other physicians, teachers and guidance counselors when appropriate. Conditions that Dr. Marcino treats primarily include Mood Disorders such as Depression and Bipolar Disorder, Anxiety Disorders such as Generalized Anxiety Disorder, Panic Disorder, Social Phobia, and Obsessive Compulsive Disorder, Posttraumatic Stress Disorder, and ADHD. After attending Davidson College as an undergraduate, Dr. Marcino obtained her medical degree at the Medical University of South Carolina in Charleston in 2000. She then went to Yale University for her Psychiatric residency. Dr. Marcino went on to complete a Fellowship in Child and Adolescent Psychiatry at the Medical University of South Carolina. Since completing her training, Dr. Marcino has enjoyed seeing patients in her private practice. She has also worked for Compass Carolina and Palmetto Behavioral Health Solutions as an outpatient Psychiatrist. 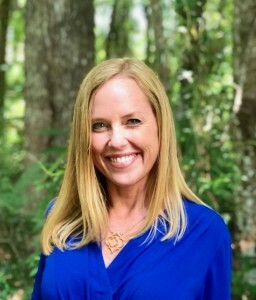 She has been on courtesy staff for Palmetto Lowcountry Behavioral Health since 2003, providing treatment for patients in the hospital one weekend per month. Dr. Marcino is a diplomate of the American Board of Psychiatry and Neurology and is a member of the American Psychiatric Association.